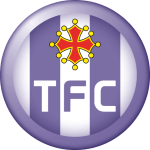 FC Toulouse vs SM Caen predictions for this Ligue 1 clash as the visitors look for their first league win of the year. They face a Toulouse side in equally as poor form. Read on for our free betting tips and match preview. It has been a disastrous season for Caen under Fabien Mercadal, as the Frenchman has seen the team regress in his first year in charge. They only narrowly avoided relegation last year by one point but they very much find themselves embroiled in the drop zone as they sit 19th, two points form safety. They are winless in their last seven league games and their 0-0 draw last week was their first Ligue 1 clean sheet since the 11th of November. They have failed to score in each of their last five league games and have the fourth worst attacking record in the league, with just 20 goals from 25 games. They have managed to stumble their way into the Coupe de France quarter-final after being dealt some pretty favourable rounds against lower league opposition but this has been the only thing for les Caennaise to celebrate this year as it has just gone from bad to worse with every result. They played okay last week against Strasbourg but they need wins by any means necessary if they want to stay up. Anything can really be seen as an improvement for Toulouse this season as they required a relegation play-off to stay in the league last year. They currently sit 15th but have hit a pretty rotten patch of form, with no wins in their last six games. Three of these have finished as draws with the Angers (0-0) and Reims (1-1) results satisfactory but they really should have beat Bordeaux last week. Les Violets lost 2-1 but had 58% of the possession and managed twenty shots, twelve more than Bordeaux. They had six corners and really should have done more with the chances they created but they didn’t and now face a crucial match against Caen. 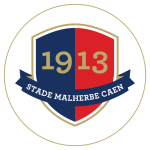 Like les Caennaise, they have been pretty torrid at the back and have only kept two clean sheets in their last twelve games. Caen won 2-1 when these teams last met in December and they have won three of the last five clashes between these sides. They have usually been pretty tight affairs though with over 2.5 goals and both teams scoring in just one of the last five clashes. However, with both sides horrible at the back and with improved performances in their last game, we’re going to back both teams to score, as has been the case in each of Toulouse’s last three league games. Caen have been horrible going forward but they have a good record against Toulouse and we’re backing them to get on the score-sheet here. However, with both sides in terrible form, we’re going to back it to finish 1-1 as neither side look capable of winning a match at the moment. Three of the last four goals between Toulouse and Caen in Ligue 1 have been scored through penalties (Gradel x2 and Fajr). Toulouse have won just three of their last 21 Ligue 1 games (D9 L9) – after winning their previous three. Caen have won only once in their last 17 Ligue 1 games (D6 L10); this coming on 18 December 2018 against Toulouse (2-1). Toulouse are winless in their last 10 Ligue 1 games at home (L6 D4), the longest current winless run in the league as well the longest run without a win in the club’s top-flight history. Caen are winless in their last nine Ligue 1 away games (D4 L5), their last victory away from home coming back in September 2018 (2-0 v Dijon). Caen have failed to score in their last five Ligue 1 games, their longest drought in Ligue 1 this season – Casimir Ninga is Caen’s last player to find the net in the top-flight, on 11 January 2019 against Lille in the 95th minute (1-3). Max-Alain Gradel has scored Toulouse’s last two goals against Caen in Ligue 1. Casimir Ninga has scored Caen’s only top-flight goal in 2019, against Lille on 11 January. He has been involved in Caen’s last three goals in Ligue 1 (2 goals, 1 assist).